“It’s about being accountable, and doing what I say I’m going to do, instead of looking like a jackass. Then injured, fined and suspended. 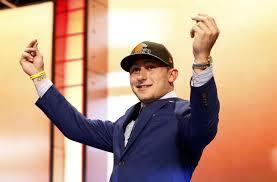 It has been an interesting year for the #22 pick in the NFL draft, Cleveland Browns QB Johnny Manziel. One that ends with the same question that preceded it. Who can protect Johnny Football from himself? His talent is other-worldly. His game day instincts are off the chart. Believe it or not the leadership is even there in spades. But none of it is remotely useful without the preparation and the cultivation of his gifts. Based on the above quote, it doesn’t appear to be a lack of self-awareness. He knows he keeps messing up and has a short rope. What he needs a roadmap to fill the gaps and get serious. He needs discipline. Ironically, the answer has been there all along. A guy who loves money so much as to have incorporated it into his on-field celebration, would do well to examine his currency more closely while off of it. Specifically the $100 bill and the picture on the front. 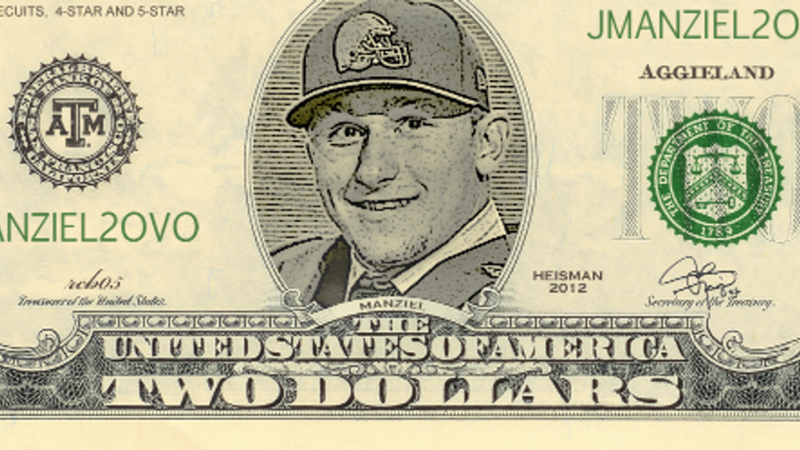 Benjamin Franklin had the accountability that Johnny desires. A disciplined man with an incredible work ethic, he too was self-aware. He knew that left to his own devices, he’d never meet his full potential either. But rather than wallow in his faults, make excuses, or meaningless pronouncements at press conferences, he made a system. Franklin knew that to figure out where you are going, you first need to understand what matters. At the ripe old age of 20, Franklin laid out each of the measures of a man calling them his “13 Virtues”. After Franklin made his list, he took an inventory of where he landed on each of them. Every journey begins with a starting point and his was an honest assessment. Next he took the insight he gained and humbly sought self-improvement by focusing on improving one and only one virtue per week. Thirteen weeks later he recalibrated and started over. His system fueled a lifetime of refinement, building a man of virtue. Experts tell us that Ben was ahead of his time. While today we may desire dramatic change and miracle solutions, it doesn’t really work like that. New Year’s Resolutions fail because they are all about goals. Experts say we need to be like Franklin and focused on a system instead. Taking a behavioral-based focus instead of an outcome-based focus can make all the difference. Franklin shared his 13 Virtues “system” via his memoirs which outline this systematic journey to a better self, attained one week at a time and executed over and over again. It remains just as valid heading into 2015 as it did in the 1700’s. This year, we should consider ditching the New Year’s Resolutions, and getting a system like Franklin’s. It can make all the difference in promoting lasting change. Coincidentally, there are 13 Friday’s between now and the start of Cleveland Browns’ minicamp. Just enough time to begin to turn a self-proclaimed “jackass” into a man of virtue. Johnnies Football: Just Do It… Right. I find it incredibly ironic that people continue to compare Manziel to Tebow. To me they are opposites. The former a naturally gifted athlete who is happy to “just get by” on natural ability with a very low work ethic. The latter is a minimally talented guy who outworked everyone to try and stick in the league. Like him or not, Tebow is no Manziel. Sadly Manziel is likewise no Tebow.